Join Voice Over Pro Alison Pitman in her business basics podcast for voice overs called “Pricing: A Crucial Aspect of the Marketing Mix”. Alison discusses a variety of factors that influence pricing, pricing strategies and how to find common ground where both parties feel it is a good price for the value they are adding and or receiving. Julie-Ann Dean: Welcome to Voiceover Experts brought to you by Voices.com, the number one voiceover marketplace. 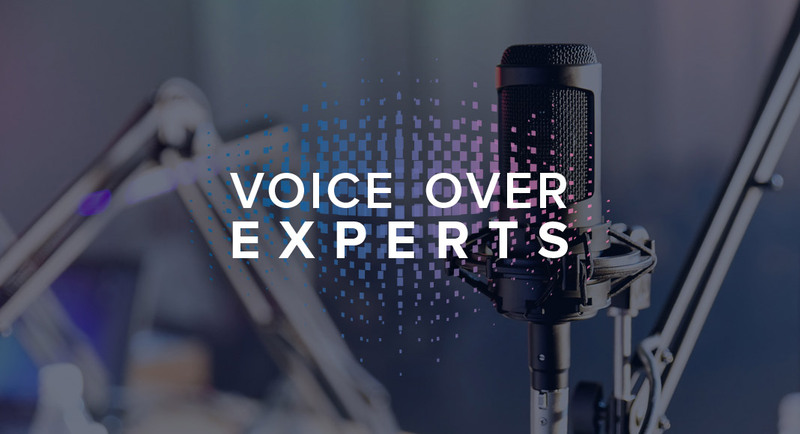 Voiceover Experts brings you tips, pearls of wisdom and techniques from top instructors, authors and performers in the field of voiceover. Join us each week to discover tricks of the trade that will help you to develop your craft and prosper as a career voiceover talent. It’s never been easier to learn, perform, and succeed from the privacy of your own home and your own pace. This is truly an education you won’t find anywhere else. This week Voices.com is pleased to present Alison Pitman. Alison Pitman: Hello and many thanks for joining me in my latest business basics podcast for voiceovers. I’m hoping that this podcast will appeal not only to the voiceover artist themselves but also to the voiceover seekers, the clients. What I wanted to talk about this week is pricing which is often a neglected part of the marketing mix but as we all know quite a curial aspect and if you look at any the voiceover forums it does seem to cause immense problems and I think it causes problems on each side. Voiceover seekers don’t know how to price a project, what budge to set and at the same time voiceover artist struggle to set a rate for particular project. They don’t want to price themselves to high and obviously they don’t want to undercut themselves, so it’s this tricky balance of finding a happy medium where both parties feel comfortable and they both feel that it’s a good price for the value they are adding and receiving and is this notion of value that I think so important. The client has to be aware of what their actually purchasing and that the price reflects much more than the provision of a small audio file of your voice and likewise it worth reminding you’re the voiceover artist, what value you are offering the client. Again not just your voice but much more of beside, it always surprises me that voiceover seekers even though they’re researching at the services to use a professional voiceover so they must have some awareness, a notional idea of the benefits that using a professional voiceover talent will bring to their branch, their company, their product, their service yet they’re not willing to pay for it or willing to pay a fair price. So, why is that? And what is a fair price and what exactly is behind a price? I think some of the problem may stem from the impression that voiceover is a really easy job that anyone can do it. Some people believe all you need is a USB mic and pretty voice and that’s it to get you going and it seem that some clients supporting this myth and don’t seem to be aware of the true cause that lay behind the quote they’ve just receive for their radio commercial, their E-learning narration, their corporate radio rate. So if you or your client starts to question your rates, here’s some things to take into consideration when and why is what it is. Firstly, time. This is a significant factor. I don’t know if I’m the only person here but I have a huge problem with job postings that start, “This is s quick easy job, will only take you five minutes if you’re professional and know what you’re doing”, this such a posting really winds me up, not only it is extremely rude. Is also incredibly naÃ¯ve and adds nothing to the posting. So, no, your voiceover won’t take five minutes because I’ve just spent this give minutes opening my e-mail client and reading your job posting. It will take me another five minutes to reply to it, so there is 10 minutes already and all those minutes available. You see it isn’t just the time it takes to record of the voiceover. What about the time it takes to communicate with the client? To discuss the script, the style, the delivery, the quote, the turn-around time, the license usage, etcetera, then you record, then the time it takes to edit, converting the audio to the format of their choice then you upload it to their server, wait for feedback, do record if necessary. Edit, convert, upload again, then write the invoice and note out half to spend hours or days chasing the payment. Do I have to go on? A five minute voiceover does not take five minutes. Secondly, what about in the other cost that you’ve incurred? What about your home studio? Some voiceover artist make this cost quite transparent in their pricing, they charge a studio fee. Quality recordings do come at a price, even though equipment has become more affordable, it will need updating and replacing as your career continues to grow and you succeed and this need to be factored into the investment you’ve made and you continue to make in your voiceover career. What about training and coaching, that’s another cost. Consider the investment you’ve made in attending workshops, purchasing voiceover books, taking part in local collage courses and what about the basic running cost that every business incurs. Stationary, printing cartridges, postage, envelops, telephone calls, broadband connection and your marketing materials, websites, postcards, e-newsletters, all have cost involved. And your other cost demo production maybe you have a royalty free music library that you offered to your clients, how much that cost? Memberships, are you member of Voices.com or other online costing site? Do you have union memberships? All of these and no doubt many more costs, all need to be considered when you create your rate card and your pricing strategy and I’ve listed them as a reminder of the value you have placed on yourself and your voiceover career, so that when your fees is questioned, you’re confident that the value of your voiceover recording justifies every penny of your quote. So, how do you come up with some concrete figure figures to put on your rate sheet? If you’re union member than this can be fairly straight forward, unions do tends to set minimum rates and guideline for voiceover markets and projects. If you’re not a union member then there are some options. The voiceover forum are really good place to start, a long side some of the specific pricing questions that are ask a lot of your fellow voiceover actors have very generously shared that own rate card. This is hugely helpful as not only can you see what figure your quote but also how they arrange their pricing policy. Do they do it per word, per finish minutes, per page, you’ll notice this will vary from voiceover artist to voiceover artist as well as the method changing depending on the nature of the project and the market is being use in. Also worth visiting are the online costing sites, Voices.com for example have a downloadable PDF document with rate guidelines for different projects and different markets. In the wider world, there are also pricing strategies and psychologies that other business is employ when they’re setting their prices. I wanted to share a few of them with you as you might want to consider them when you next quote for a project. I’ve taken this idea from Ivana Taylor’s, 8 Price Strategies article on the small base-trans website and I recommend if you can to read the article in full. The first pricing strategy is called, the nine and zero effect. People associate the number with value and zero with quality. So, the psychology of pricing isn’t so much about gaining additional sales because the price of piece to be lower. It’s about what the price communicates about your offering. So, which do you want to communicate, value or quality? Now, you can price according. The second pricing strategy is called prestige pricing. Higher prices connote higher quality, luxury brands are the perfect example of the strategy. Simply improving the look, package, delivery or promise of your product, you can justify a higher price and support a prestige pricing strategy. The third pricing strategy is called, quantity suggestive pricing, consumer are receptive to purchasing items in suggested quantities. When you suggest how many you want your customers to buy and give them an attractive price they will do what you tell them. So, for example five voice prompts for five pounds or $5, you’ve suggested how many they want to buy and you’ve given them an attractive price. The last pricing strategy, I wanted to briefly mention was called stuffing the bundle, stuffing the bundle to convey value. Consumers perceive more value when there’s more small stuff included in the bundle, you can even calls this a form of value building, TV infomercials are notorious for this strategy. They introduce a main product and keep adding more and more items to the mix to build value while simultaneously discounting the retail price. So, stuffing the bundle for a voiceover might include the voiceover recording, your copy writing skills, adding a royalty free music to the mix, adding things to add value. Well, I hope this is given you a few ideas about pricing and I hope that your clients will have a better understanding of the true cost involved that there are not just buying a voice but all the expertise, technical ability and the branding value that your particular voice brings to their projects. Well, thanks for listening and if you’d like to get in touch please do e-mail me at alison@thephonevoice.com or visit my website at www.thephonevoice.com . Bye for now. Julie-Ann Dean: Thank you for joining us. To learn more about the special guest featured in this Voices.com podcast visit the voiceover expects show notes at Podcasts.Voices.com/VoiceoverExpects. Remember to stay subscribed. If you’re a first time listener, you can subscribe for free to this podcast in the Apple iTunes Podcast Directory or by visiting Podcasts.Voices.com. To start your voiceover career online go to Voices.com and register for a voice talent membership today. Based in Bristol, voice actor Alison Pitman has voiced various projects for clients based all over the world recording professionally from her home studio in the UK. Known as “The Phone Voice”, Alison specializes in recordings for voicemail, on-hold messages, IVR and corporate narrations. Alison has worked for over 10 years in the film and television industries and played a role in the Oscar nominated “Little Voice”. In addition to her performance experience Alison Pitman has a degree in Broadcast Journalism. Did you enjoy Alison’s episode? Leave a comment with your thoughts! Stephanie Ciccarelli is the Co-Founder and Chief Brand Officer of Voices.com. Classically trained in voice, piano, violin and musical theatre, as well as a respected mentor and industry speaker, Stephanie graduated with a Bachelor of Musical Arts from the Don Wright Faculty of Music at the University of Western Ontario. Possessing a great love for imparting knowledge and empowering others, her podcast Sound Stories serves an audience that wants to achieve excellence in storytelling. Stephanie is found on the PROFIT Magazine W100 list three times (2013, 2015 and 2016), a ranking of Canada's top female entrepreneurs, and is the author of Voice Acting for Dummies®. Very helpful! It’s easy for us who are starting to market ourselves, to forget how much we’ve invested in our profession already. I am going to read my notes on Ms Pitman’s podcast before each audition! Thank you for helping us to remember our value. Great information, we should keep our rates in good shape, and make sure also that our sevices are in a good one. “…often overlooked aspect” indeed! Thanks for the parameters and value clarifications…much food for thought! That was great… thanks for your input… this reminds me of a story someone told me about Picasso who was once in a restaurant eating dinner with friends. A woman approached him and asked him to draw something for her on a paper napkin. Picasso took the napkin and draw something. When the woman came to take the napkin back picasso looked at her and said… arent you going to pay me the $20,000 that its worth? The woman was taken aback and said said.. but it took you 2 minutes to draw… he said sure it did but it also took me 20 years of school and practice and experience to get good enough to draw it this good and this quickly. (It was something along those lines). Self value especially when it comes to a field like Voice overs is often daunting. Needless to say, I was not pleased to have wasted my time on the demo and on composing my email to him, especially when I had other projects to work on. This podcast helped smooth my ruffled feathers. Our profession is often misunderstood as “just talking”, when as we know, it takes a great deal of skill, effort, and investment of time and money. Thank you all so much for your postive comments on my podcast! Feedback is really appreciated. Taji – loved the story! I’m going to use that somewhere, possibly print it out and hang it up as a daily reminder..Brilliant! Victoria – I had to read your comment several times as I couldn’t believe my eyes! Luckily clients like that are few & far between. I am astonished at the basic lack of manners and business integrity. There is negotiation – but that is just plain rude & disrespectful. I admire you for your composure in your response. At least you can show them what professionalism means – I wonder if they take the same attitude with their accountants, lawyers and other business partners/suppliers??? Jon – you’re a love! Pam, Mauricio & Carol – thank you so much for listening & taking the time to post comments. Do hope it was of some help ! All the best to you all. Priceless encouragement! I agree with Carol…re-reading this is great preparation for auditioning. It’s easy to forget one’s value. This is a wonderful service… I feel inspired to hire new people do my courses’ voices. Thank you, voices.com for the inspiration! Alison – what a great podcast! I see that it was posted in 2009, but I haven’t had a chance to get to all the podcasts and just started at the top of the list to see what was there. I blogged about it today, so you may get a few more listens. i want to work as an voice over artist with voice over .com …i dont know how to get started can u plz guide me???? Hi, thanks, that was very useful. The quoting market is difficult. Especially with new clients, who don’t perhaps understand what goes into creating the files.